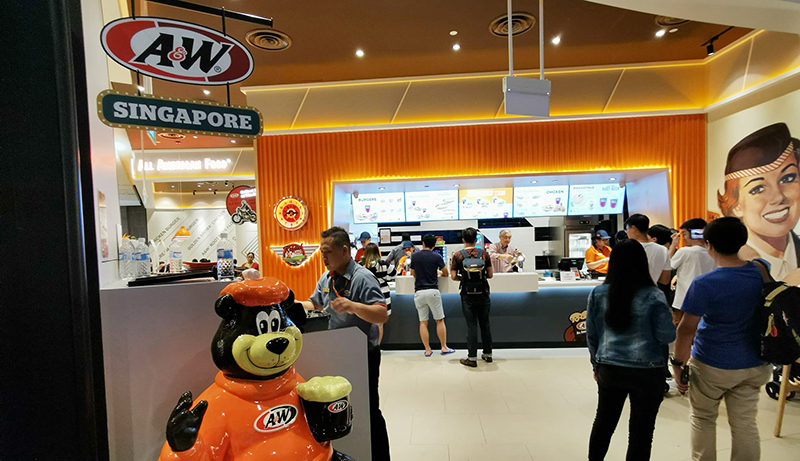 After a long 16 years hiatus from Singapore, casual dining restaurant A&W recently made a triumphant return to the country to make our root beer float and waffle ice cream dreams come true with a new branch at the newly opened Jewel Changi Airport. 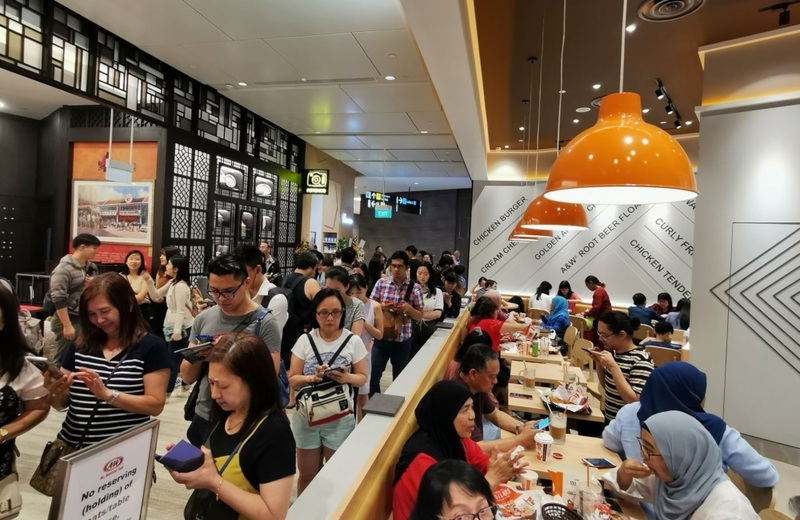 Located at the basement two (B2-209) of Jewel Changi Airport, the 80-seater joint has been seeing long, snaking lines of hungry diners since 11 April when Jewel Changi Airport opens its doors to the public for preview before the official opening on 17 April. 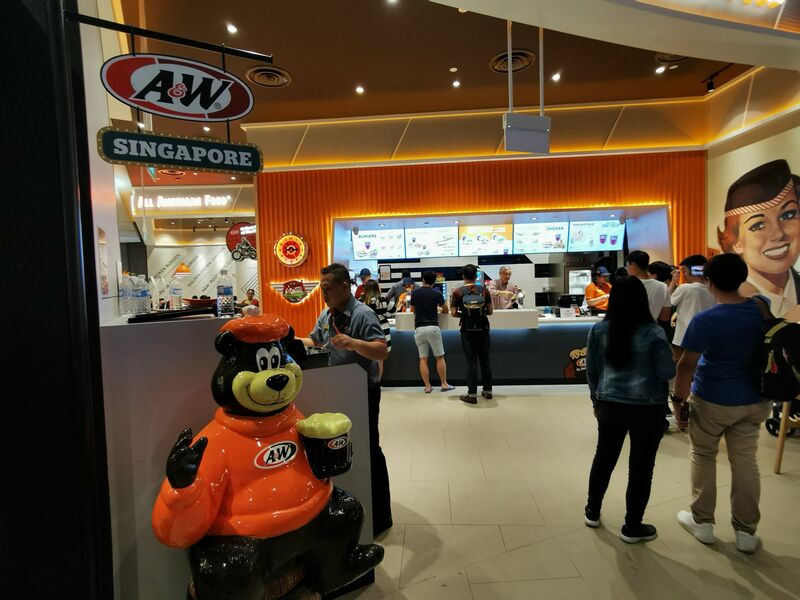 For those of you who want a taste of A&W but do not want to join the three-hour queues, guess what — A&W is going to open a second outlet in Singapore. Yes, you’ve heard that right. And it won’t be long before you get a chance to dine in the second outlet. An A&W spokesperson informed us that the new outlet will be opened in June this year. 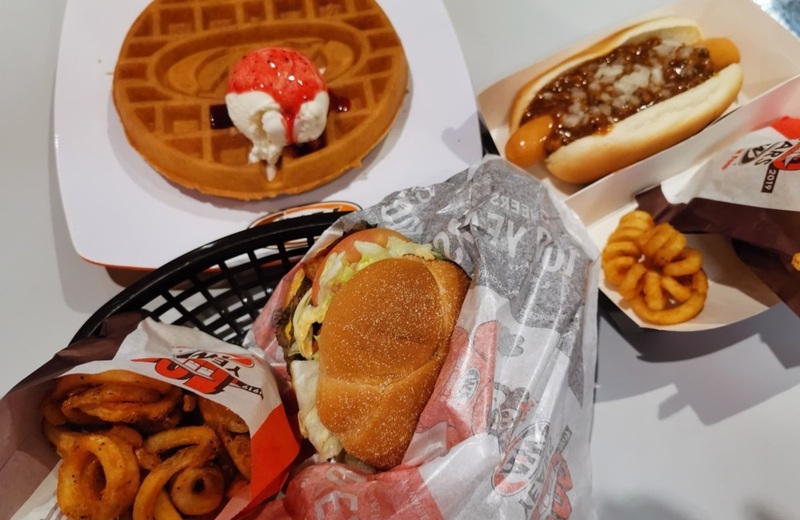 If you’ve never dined in the restaurant, you can expect to find all-American classics like the Chicken/Beef Coney Dog (S$5.20) topped with chunky relish, Waffle Ice Cream (S$7.90) and the famous frothy A&W Root Beer Float (S$3.50) served in an ice-cold frosty mug. Regional offerings like the Cream Cheese Chicken/Beef Burger (S$7.90) inspired by A&W Restaurants in Okinawa and the Waffle Sundae ($4.90) from A&W Thailand are also available. 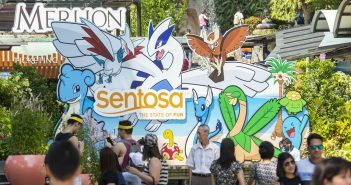 The American fast food joint first appeared in Singapore in 1966, and the A&W drive-through made its debut in 1970 at Bukit Timah Road. 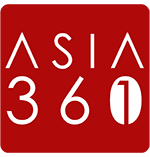 After nearly four decades in Singapore, faced with stiff competition from its competitors, they decided to pull out of the country in 2003, with five outlets then. It seems this time, A&W is here to stay. The good folks at A&W declined to reveal more details on the location for now. But watch this space for the latest updates.